How Much does LoveStruck Cost? Founded in 2006, Lovestruck.com declares itself to be the best online dating site in not only London, but in the whole of the UK. Unlike many other dating websites which are vague and open to everyone, Lovestruck is specifically for city slickers who are so busy juggling long working hours, energy-sapping commutes and demanding social lives that they just don’t have the time to seek out dates, hence the birth of Lovestruck London. The site sets itself apart from the rest by offering a handful of unique features. Clever matching claims to learn from your online activity, thereby sussing out what sort of person you’re really after, instead of just taking your word for it. After all, the two can be very different! Profile verification service helps to ensure that members are who they say they are, taking the fear factor out of meeting someone from the internet. Their exclusive events are said to be the talk of the town and with some parties seeing more than 900 people attending, you’re sure to like one of them, right? And finally, the date matching tool helps you find people out there who enjoy doing what you do, to save you painful and often pointless small talk. Below you’ll find info on the price of a LoveStruck membership, a brief review of the site and any available discount codes so you’ll have enough cash left over to pay your half of the bill on the first date. Here is a basic overview of how much you can expect to fork out if you want to be a part of Lovestruck and the different levels of membership you can choose from. Note: The plans chop and change every now and then, so you might find that the free months come with different packages when you look for yourself. Lovestruck claims that their six month plans are the most popular and considering you get an extra 6 months’ membership free when you sign up for them, it’s easy to see why! With this in mind, the sixth month membership package gets you the same length of membership as the 12 month plan, but for £40/50 less, according to whether you settle for standard or premium membership. Obviously having only your best interests in heart, Lovestruck will “helpfully” automatically renew your membership, so you can spend more time dating and less time paying. To cancel the automatic renewal, you’ll have to email the Lovestruck London team at least two working days before your subscription is set to renew, telling them you want to end it. If you bottle it and don’t want to take out a paid membership, click on the ‘Home’ link on the top of the page to jump back to your new matches. You can still use the site without paying a penny, although the use is very limited. 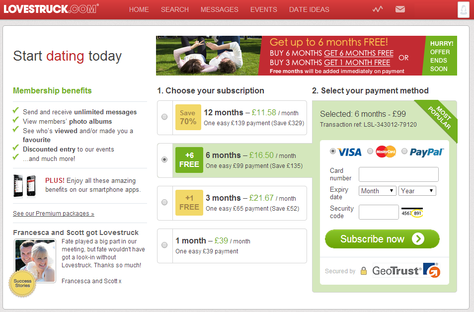 What Do You Get from LoveStruck London For Free? 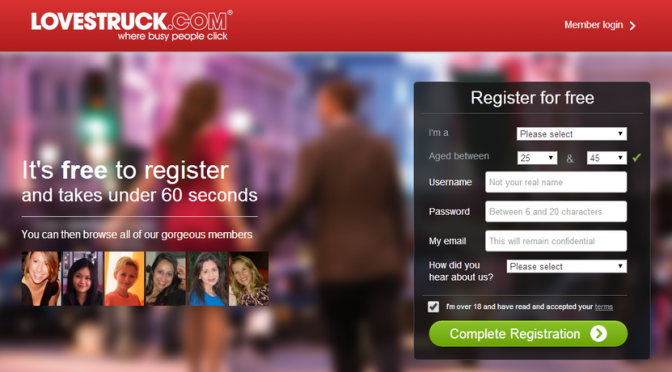 So you’re taking a pro-active approach to finding someone and have decided to join Lovestruck London. With all the other stuff you’ve got on, you’ll be pleased to hear that creating a basic account takes you less than 60 seconds. Simply fill out the short form on the homepage with the usual info guy/girl looking for guy/girl, age you’re looking for, a username, password, email address and how you heard about the site. Don’t forget to tick the box promising you’re over 18 and you’ve accepted the terms. If you haven’t got the 60 seconds spare, you can always sign into Lovestruck using your Facebook account – the site promises not to post on your wall without permission. After filling out the mini form, you’ll be taken to a less-than-personalised list of potential matches, along with a message suggesting that you complete your profile. After all, your profile is ten million times more likely to be viewed if you upload a photo – their stats, not mine. Click ‘Complete your profile’ and you’ll be presented with a simple five-stage questionnaire, which won’t take more than ten minutes to complete, even if you do get stuck on the ‘About Me’ essay-style section. When you complete your profile, it will be sent to Lovestruck Towers for approval which can take up to 24 hours. Whatever happened to love at first sight? In the meantime, you can subscribe to the site and get your hands on all sorts of exclusive membership benefits. Take advantage of the below Lovestruck discounts becuase they wont be around forever! Sign up to our newsletter and make sure you get the latest discounts and dating free trials. As previously covered, the best value for money membership package is the six month plan, which comes with an additional six months’ membership for free. 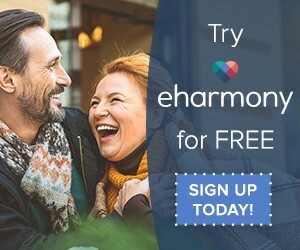 Keep in mind that if you find the love of your life within two days of joining the site, you won’t get a refund, so it’s best to sign up for the shortest plan you think you’ll need. Laissez-Faire Parties (Laissez-Faire = leaving things to take their own course, for those not fluent in the language of love) are a great way to mingle with other singles. These parties are completely free to attend and take place twice each month in a swanky city location. Whether you’re a fully-fledged paying member, a thrifty free account holder or have never even seen the Lovestruck homepage before, everyone can attend the events, providing a great night out with lots of interesting people, if nothing else. The next Laissez-Faire party is scheduled to take place at The All Star Bowling Lanes, London on 26th July 2015. Lovestruck knows its user base well – if you’re a professional who hasn’t got enough time for traditional dating, you probably haven’t got time for searching through hundreds of profiles, either. This is where their behavioural recommendation engine and date matching tool come in handy. Lovestruck uses both of these features to pair you up with potential matches just like you, so you don’t have to. I’ve been on almost every online dating site there is – Lovestruck included. So below I’ve put together my opinion on the site, telling you everything you need to know – the good and the bad – so you can decide whether Lovestruck is right for you before you sign up. How Many Users Does Lovestruck have? 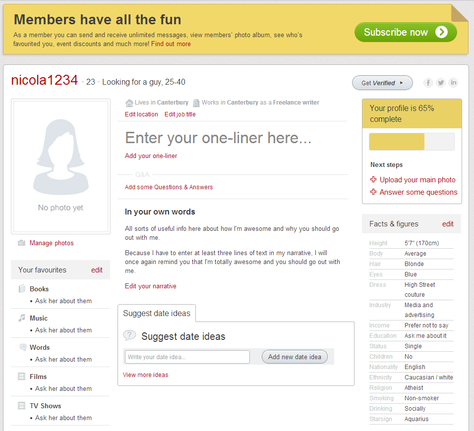 Lovestruck claims to have around 370,000 members throughout the UK, with the majority of active users living or working in London. Whilst it might not have quite as many users as the likes of eHarmony and Match.com, this is because Lovestruck focuses on professional city-slicking singles who haven’t got time for traditional dating. With such a relatively small niche compared to dating sites which cater for everyone, the numbers are always going to be fairly limited. Although there is no upper age limit for user on Lovestruck, most of their members are between 30 and 50, with hardly anyone in their early 20s. Verdict: Lovestruck is great if you live in London or don’t mind trekking into the city to go on dates. But if you live anywhere outside the capital, it’s slim pickings for you. One feature which makes Lovestruck stand out from the other online dating sites is their behavioural recommendation engine. This useful gadget finds potential matches based on your behaviour on the site, such as what kind of profiles you’re looking at, who you’re sending winks to and which profiles you’re adding into your favourites. 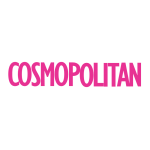 Lovestruck also lets you ‘love’ other users’ date ideas. Whilst this might seem a bit trivial at first, it really isn’t. Lovestruck’s date matching tool keeps a note of what dates you ‘love’ and then matches you with other singles who enjoy doing the same things as you. Genius! The idea behind matching you up with other singles this way instead of just pairing you up according to which boxes you ticked is that sometimes what we say we’re looking for and what we actually want are two very different things. Lovestruck strives to find you the latter. Verdict: Lovestruck saves you countless hours of filling out lengthy questionnaires and browsing profiles by matching you up with people of your type who have similar interests. Whatever question you’ve got about online dating with Lovestruck, chances are they’ve got it covered within the ‘FAQ’ section on their website. 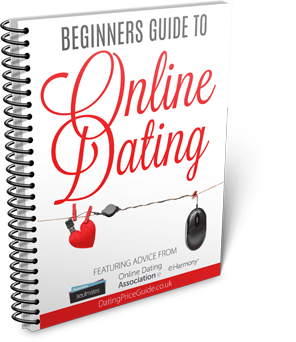 Here you’ll find everything from troubleshooting logging in problems and how to cancel your automatic subscription renewal to how to best use the search engine to find matches and best profile writing practises. If you can’t find your answer there, fill out the contact form and someone will get back to you in just 24 hours. I’ve used this contact form a few times in the past and always received a speedy email response from a real person – not an automated response from a computer. Verdict: Not being able to contact anyone by phone is a negative point, but being able to rely on an email response within 24 hours is a major plus point. In addition to their website, Lovestruck also has a couple of mobile apps – the Lovestruck iOS app and the Android Lovestruck app. Through the app, you can see if anyone’s viewed your profile or sent you any messages – plus you can archive conversations with one swift swipe. Although it’s totally free to download, the app has some pretty poor ratings – currently 3.3/5 for Android and 2.5/5 for iOS. Shem: you make reference on the page found at https://datingpriceguide.co.uk/illicit-encounters-cost/ that credit cards are processed via ** edited ** to avoid spouses knowing exactly what was being billed for. Did you ever think that a quick Google search brings your page up as the first hit? So unless this is your objective I would recommend you remove this as I would imagine you will be the source of many unhappy guys and girls. Thanks for the comment, I didn’t think about it from that angle and have edited both the page and your comment. I wont ask how you found this page! !